Powerful and heavily efficient smartphones and portable machines are en route to the market in the near future. Ask us how? Samsung has announced that the tech giant has commenced mass production of its 10nm second-generation DRAM production. The Korean firm will manufacturer a variety of DRAM for different applications and uses. These also include notebooks, hybrids, smartphones, and tablets. All these will take advantage of the latest and greatest manufacturing process. Gyoyoung Jin, the President of Memory Business at Samsung Electronics states that the tech giant will rapidly expand production and continue to strengthen its stronghold in the market. 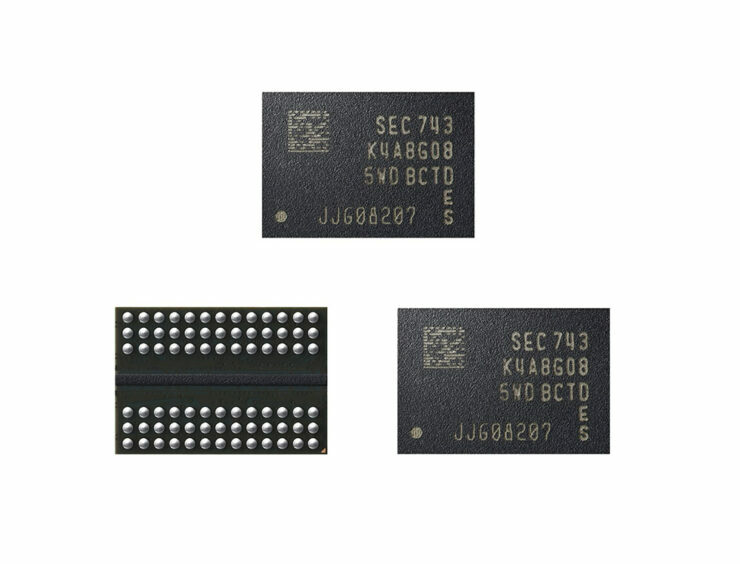 Samsung also introduced the industry’s first 512GB UFS 2.1 flash memory for mobile phones, so there was a huge possibility that the manufacturer would expedite mass production phase for next-generation memory. As for the product itself, it is a second-generation 8Gb (gigabit) DDR4 DRAM. Opposed to its predecessor, this DRAM module will exhibit 10 percent more performance and 15 percent better efficiency. This is due to the use of an advanced and proprietary circuit design technology. According to the advertised speeds, the new DRAM module can operate at 3,600Mbps per pin. This is slightly faster than the 3,200Mbps bandwidth achieved by the first-generation memory module. To improve performance and power efficiencies the Galaxy S9 and Galaxy S9+ can also take advantage of LPDDR5 memory chips. While the company will focus on supercomputers, HPC systems, and other market segments, we are more excited to see how this will fare when it unveils both of its flagship offerings, hopefully during the MWC 2018 trade show. For starters, the Galaxy S9+ is able to post some decent performance gains as opposed to the Snapdragon 835-powered predecessors, so we have to say that there might be some progress. Are you excited to see next-gen memory from Samsung getting incorporated into the 2018 lineup of mobile phones? Tell us down in the comments.